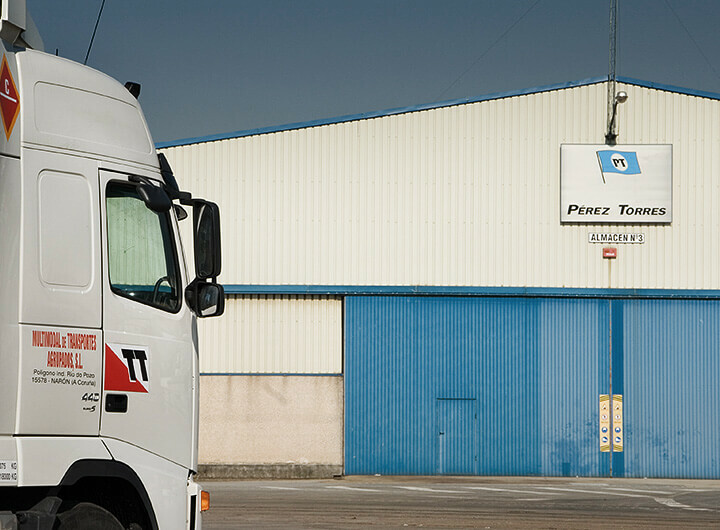 Since its creation, GRUPO TT based its growth on full load within the Iberian Peninsula, a sector that developed an extensive network of offices partners. 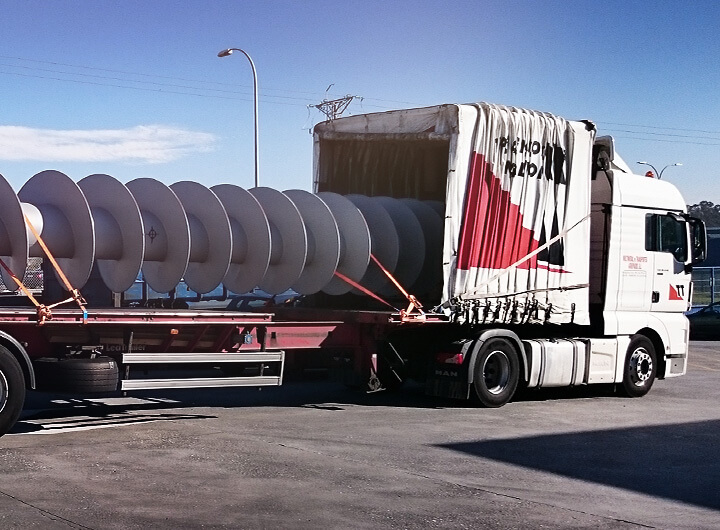 Today we can boast of being one of the leaders in full load in the Iberian Peninsula, especially in the field of conventional goods (ambient temperature). Our experience has made the leap, it's been more than five years since we started to transport beyond the Iberian peninsula, currently providing service not only import and export but also among other countries, reaching points like Turkey, Finland, Russia and Greece. 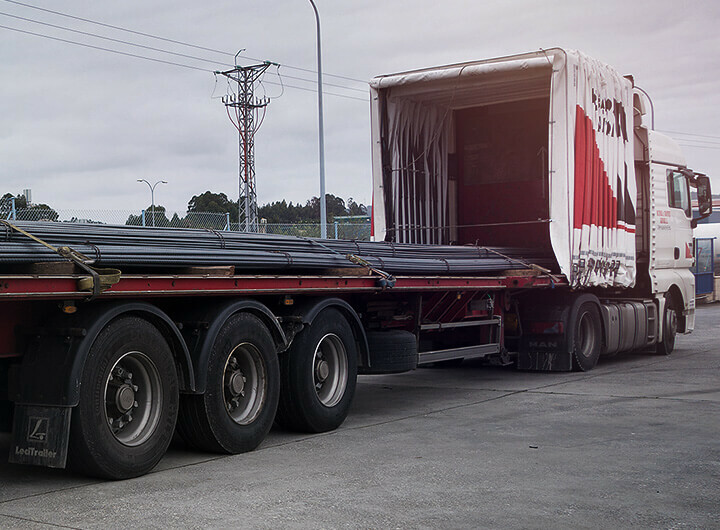 Our trailers are equipped with all necessary accessories for transport, security belts, laundry bars, rear lift platform, seal cable, etc. 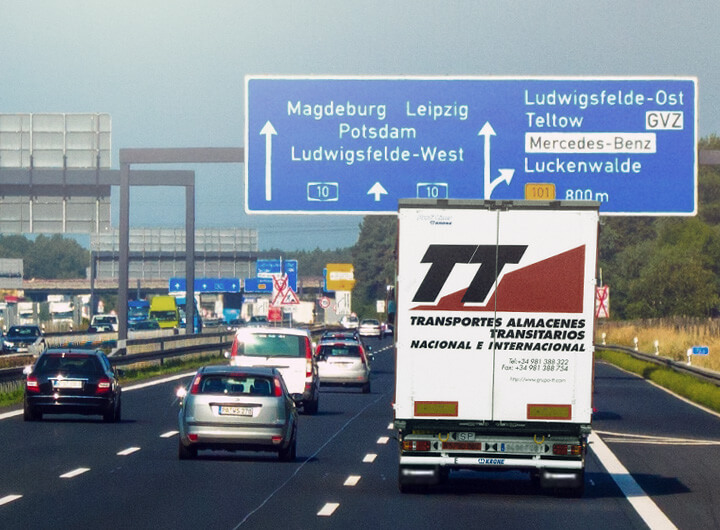 For years, GRUPO TT has successfully developed the concept of Shared Direct Transport, covering the gap between full load and conventional part loads. 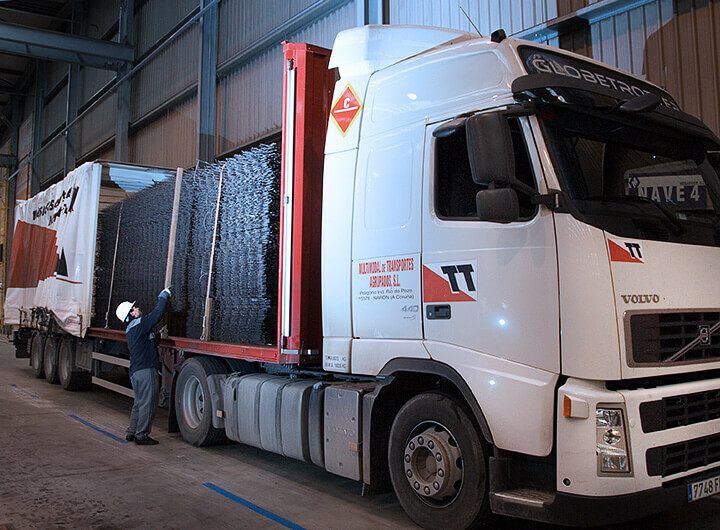 We are able to collect / deliver pallets at any point of the Iberian Peninsula within 24/48 hours. 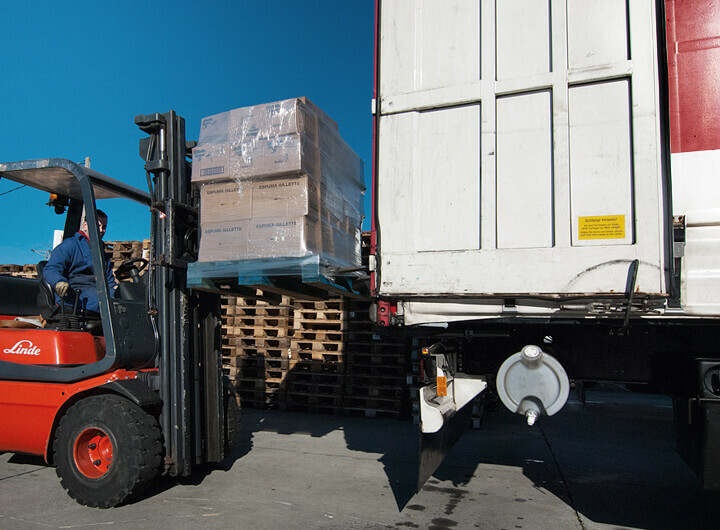 Our trucks pick up goods of two or three customers on the road, and delivered directly to recipients without going through the warehouse (milk run), consequently save money and time. All controlled in a timely manner by our computer system. This service is especially interesting starting from 3 pallets. We have means specially dedicated to air freight services, from and to airports, specially prepared to carry aircraft plates. 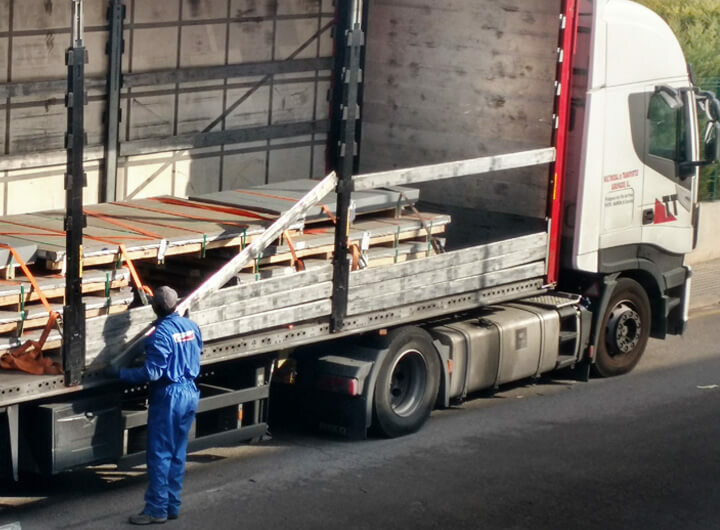 Direct transits with reinforced tarps and high security truck parkings to minimize the risk of incidents . We are committed to agreements and long term collaborations with our customers, providing a bespoke and stable service. We want to be your partner in handling and distribution of its products, ensuring a unique service adequate to your needs. 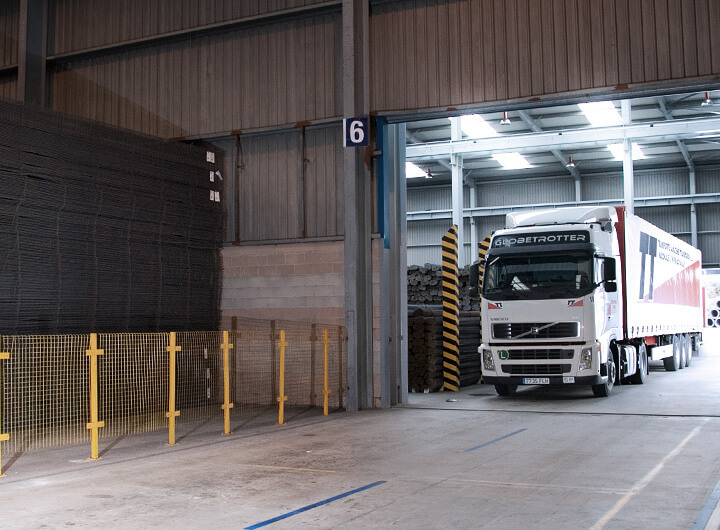 We have a wide variety of areas and facilities, owned and leased, providing a wealth of solutions and options for storage. By doing so, we want to empower a synergistic partnership with our customers that enables to maximize the performance of your supply chain. We are open to new ways of collaboration and to build together with our clients a comprehensive logistics management system to their needs, to establish ourselves as a partner in logistics, warehousing and distribution. Our client base is evenly distributed among all sectors, giving us an added value: consequently we get an advantage of the synergies, as well as an adaptation to the seasonality of each product. 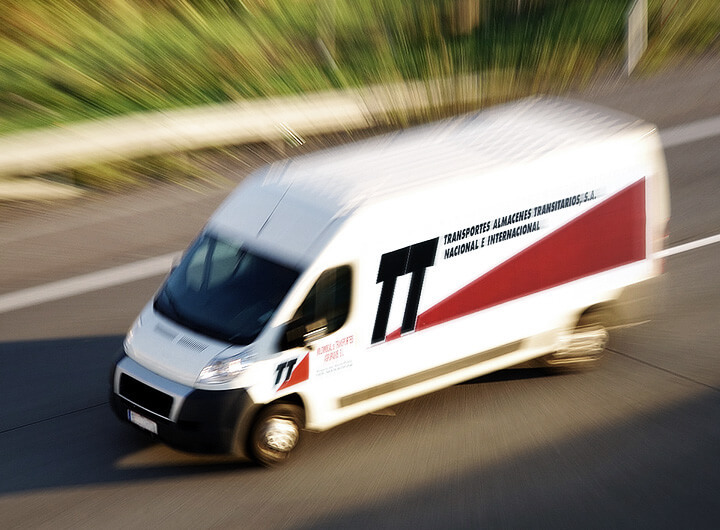 We can boast of working with leaders in sectors such as distribution, consumption, beverage, industry, construction, etc., the major companies nationwide trust their transport to GRUPO TT, because we offer a service that meets your needs. 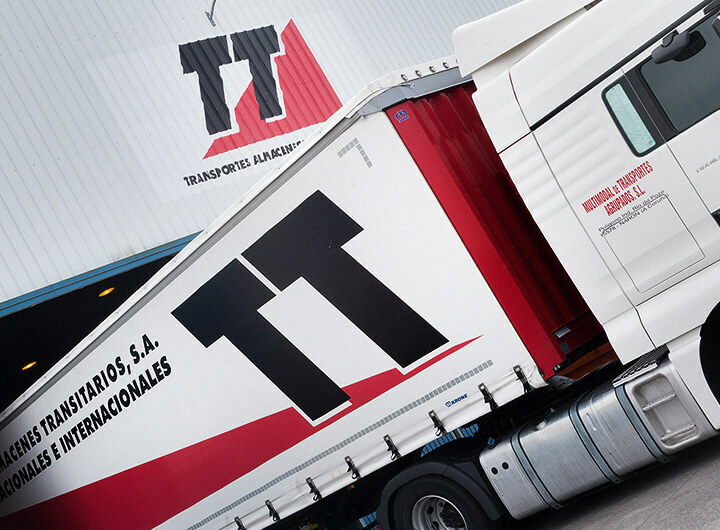 Since its creation, GRUPO TT has been trusted by leading companies in all areas and sectors, thanks to its commitment to quality, efficiency, and meeting the highest standards of safety, transparency, punctuality, all of them thanks to a renewal of their resources, with a great commitment to innovation and constant training. 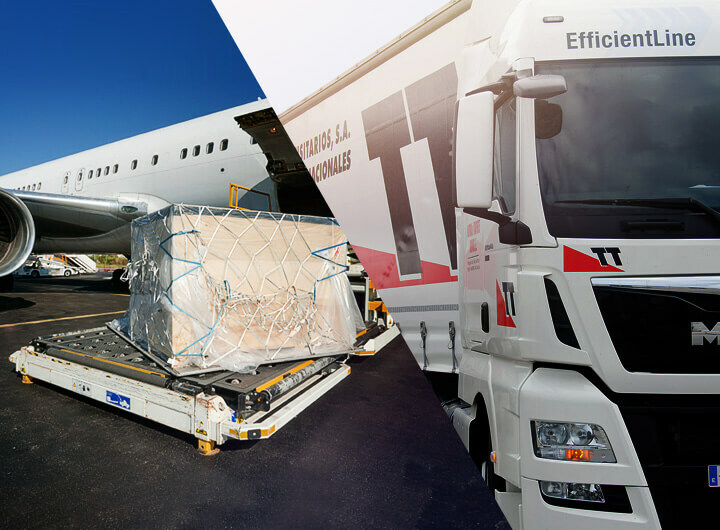 With the intention of covering a wider range of services for our customers, Grupo TT is putting the effort in the International Transport growth, exporting and importing within the UE and other countries like Russia, Turkey and Morocco. For these traffics we’ve got an experienced team and a fleet equipped with all the necessary to offer an excellent service. 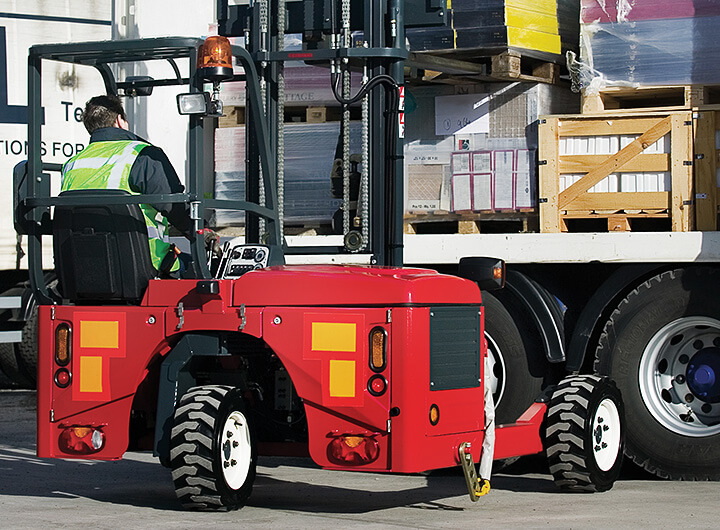 Reinforced curtain siders, air freight trailers with rollers, or double driver for express services among others. This development lead us to open Grupo TT Germany with the aim of being closer to our market and our customers.